As long as we are relating to external – often material and physical – reference points, we will not find inner peace. I must confess, just to clarify, that I make no claims. In sharing my daily learnings here on this Blog, I am simply sharing. If it makes sense to them, some people draw some inferences from it. If it doesn’t, they read it and trash it. But one thing is for sure – I don’t share anything here that I have not experienced or learnt first-hand. And one of my key takeaways from Life is that it is indeed possible to live in this world, and yet be above it! Provided you are anchored and have found your center. Osho used to tell a story of a Zen Master who was invited as a guest by someone. A few friends had gathered and they were listening intently to the Master when suddenly there was an earthquake. The building that they were sitting in was a seven-storey building, and they were on the seventh storey. Naturally, they all feared for their lives and ran. Everybody tried to escape. The host, running down, paused, and came back to see what had happened to the Master. He was sitting still, on the floor, on the mat, with not even a ripple of anxiety on his face. With closed eyes he was sitting just as he had been sitting before. The host felt a little guilty. He felt cowardly. It does not look good when a guest is sitting while the host is running away. The others, the guests, had already gone down the stairs but he stopped himself although he was trembling with fear, and he too sat down by the side of the Master. The earthquake came and went in a matter of a few minutes. Once the tremors and rumblings stopped, the Master opened his eyes and resumed his discourse which he had had to stop because of the earthquake. He began again at exactly the same sentence – as if the earthquake had not happened at all! This story is the essence of Zen. It means that when you reach your center, nothing can affect you. No external event or development, in fact, no one can touch you. Your center has been, is, and will be with you. It is in you. In your center, you will find both perpetual happiness and inner peace. Even if you are physically in shackles, if you are anchored, centered, no one can take away your inner peace or make you unhappy. Know that only you yourself are responsible for your peace and inner joy. I have shared many experiences of how I have been learning (to be sure, I am still a learner) to live in this world and yet be above it in my Book ‘Fall Like A Rose Petal’ (Westland, August 2014). Through these experiences I have come to believe that everyday Life is hardly tyrannical. To find strength in a storm, move to the center, to the eye of the storm, it is always calm there! If you learn to go within (through any practice of daily meditation or observing silence periods) you too can remain untouched by whatever happens outside of you! When Life becomes unbearable to live, what do you do? What do you do when whatever’s happening to you defies logic and reason and seems totally unresolvable? Clearly, giving up on Life__and taking your Life, committing suicide__is not an option. Facing Life and continuing to live it fully, without expecting it to be any different from what it is, is the only option, and an intelligent, responsible response. Whenever you are in tremendous pain and are suffering from it, examine what’s causing you the suffering. Make a serious, conscious effort to understand what about your current situation makes you grieve. When you do this, you will discover that what’s causing you pain is beyond your control and is not really the cause of your suffering. You are grieving because you expect the pain causing factor to have not been there in the first place. 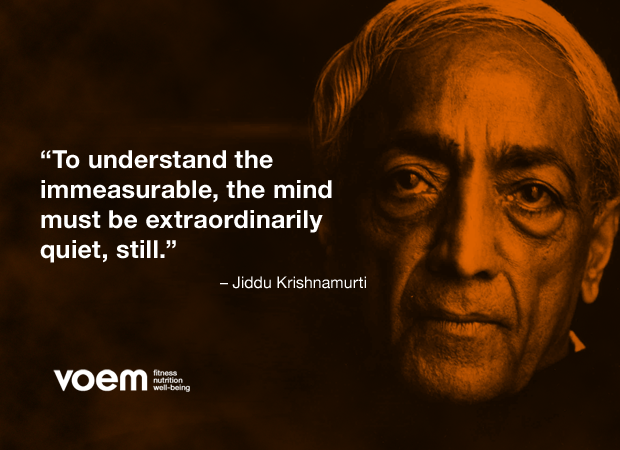 So, to rid yourself of any suffering, or grief, you have to fundamentally rid yourself of all expectations. Here’s an irrefutable truth about Life – expectations bring agony! Expunge expectations and you will never suffer with or over anything in Life! Expectations arise when you live at the periphery of Life. When you are attached to material things – money, fame, property or even to relationships. Attachment to anything perishable, impermanent or transient is bound to bring you grief. Isn’t it simple, plain logic? Isn’t it common sense? Think about it. If you know something is going to be short-lived, and is going to be eventually taken away from you, why not enjoy it as long as it lasts and why not be prepared to let it go when it’s time in your Life is over? Why have the expectation that it must continue to be with you forever? And why, through such irrational expectation, invite grief in your Life? Asking yourself these simple questions, and, through answering them, understanding Life better, can have a profound impact on you. 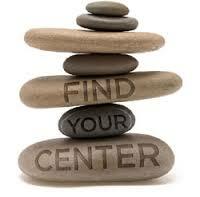 It can take you to your center, to your inner core. Where you will find the strength, the courage, to live your Life peacefully despite whatever’s happening with it on the surface. The ocean is a good metaphor. When you stand at the periphery, among the waves, you witness the turmoil on the ocean’s surface. Wave after wave, comes crashing angrily on the shore. There’s a lot of restless energy at the surface level. But if you go to the ocean’s depths, lower, closer to its center, you will find a beautiful calm. It will be hard to imagine it is the same angry ocean, which is now serene and unmoved despite all the frantic action on its surface. Similarly, for us humans too, there’s a choice to go to our center. Meditation is the only way to reach your center. And there is no one way to meditate. Don’t get carried away by populist prescriptions that you need to silence the environment to meditate or that you need to ‘go somewhere’ to meditate. Create your own way to meditate – one that makes you forget everyone and everything in the world and unites you with an ‘indescribable, invisible, yet imminently realizable energy’. It could be through whatever gives you joy – dance, music, writing, painting, gardening, cooking, housekeeping, walking, watching a sunrise or sunset, or simply being silent! Don’t force the way on you. Don’t insist that you put a framework to it. Do it once. If you love doing it, and you find losing yourself in it, keep doing it daily. Over time, you will be drawn to doing it effortlessly. And through this experience of losing yourself to what you love doing, you will train your mind to act not on the surface, the periphery, but to stay anchored deep, at your center! When we drop anchor at the center we will find all that we are yearning and searching for – inner peace, bliss and the reason to carry on living!